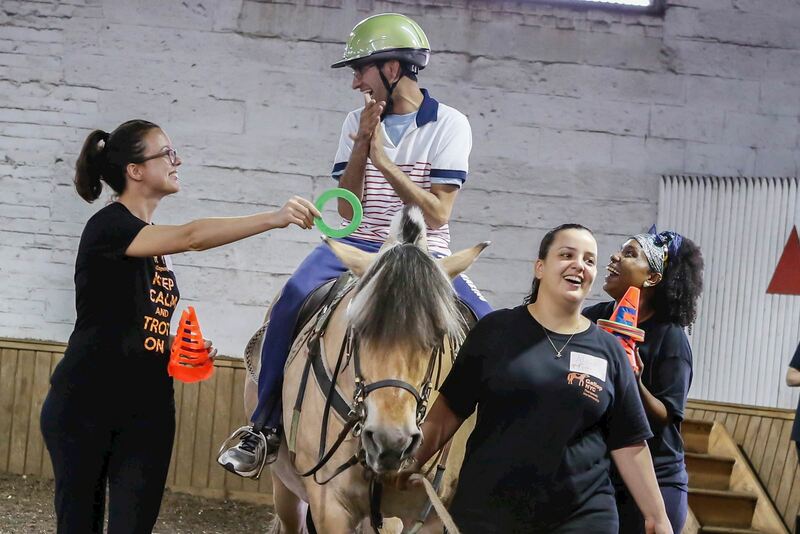 GallopNYC oﬀers therapeutic horsemanship programs to children and adults with disabilities. 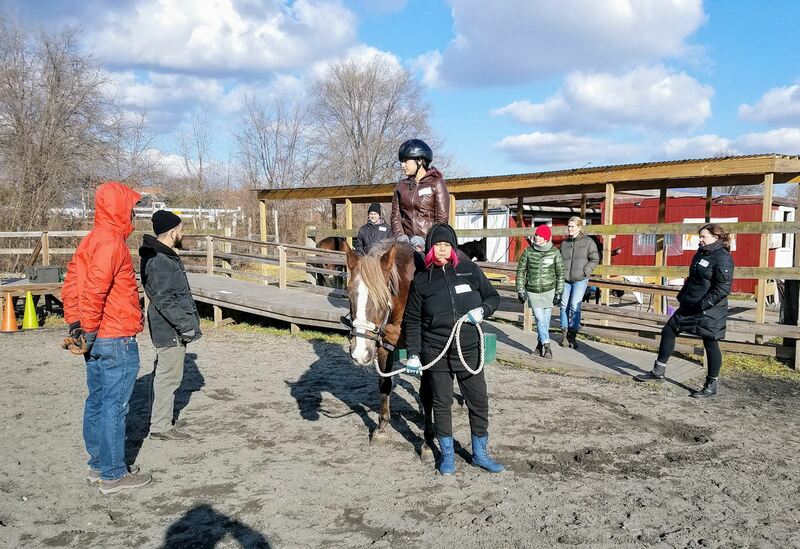 We serve over 500 riders a week and operate our riding program at four locations, all within NYC and schedules at each location vary seasonally. Individual volunteers are able to engage with the organization through support of our therapeutic riding programs, helping with our horses, office work and continued learning and social opportunities through our volunteer community, The Turnout. Volunteers can also join our board and offer pro bono services. Therapeutic horsemanship teaches the skills of horseback riding and horse knowledge to build developmental,emotional, social, and physical skills for each individual rider. Under the direction of a PATH International certiﬁed instructor, supported by trained volunteers, each rider progressively acquires riding skills and measurable improvements in life skills. Through weekly sessions, we help riders walk, talk, learn and have FUN! Volunteers play a very important role in our therapeutic riding lessons. In fact, we can't have lessons without you. New volunteers support our riders during therapeutic riding lessons by walking alongside the horse and supporting the riders and leading our horses. Experienced volunteers can support our therapeutic riding programs by becoming Site Leaders or Paddock Masters. Site Leader: Assist instructor to ensure that on-site activities operate smoothly, especially with regards to volunteers, riders, horsemanship staff and any other on-site personnel. 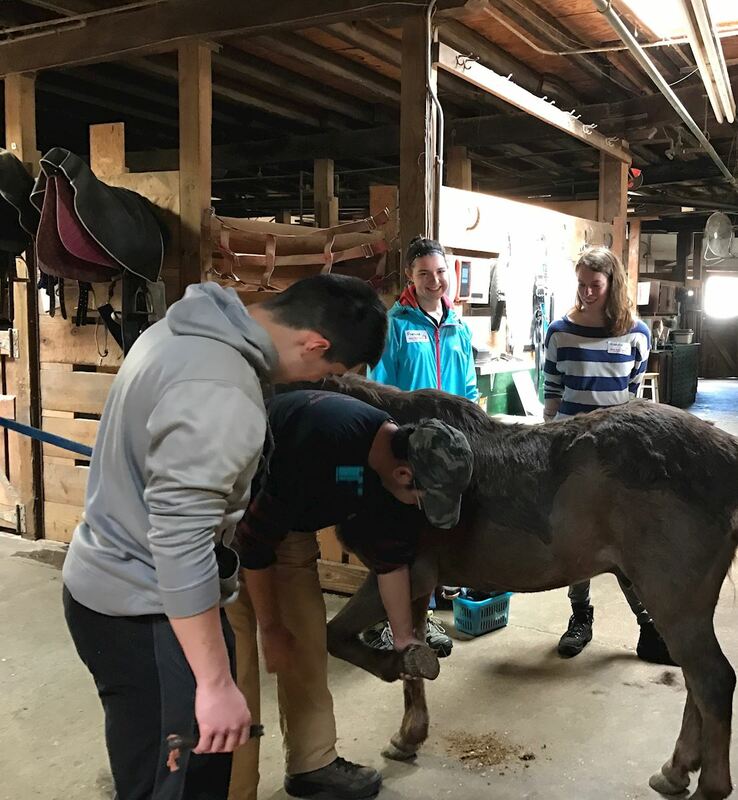 Paddock Master: Assist the instructor during TR sessions by ensuring horses are tacked and ready for use, and all necessary equipment is available to allow lessons to proceed in a timely fashion. 2. Complete the online orientation sent to you in an email. 3. Sign up to volunteer by choosing your preferred day and location. 4. Complete the electronic document sent to you in a final email. Taking care of horses sure is a lot of work! We need volunteers to help us with all kinds of tasks from horse care, barn management, feeding, and even cleaning stalls. Interested? Follow the steps below to get started! Like to stay indoors? 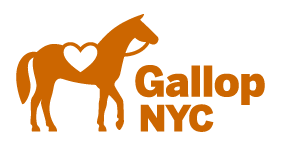 We need volunteers to help GallopNYC staff with office work ensuring that rider and volunteer paperwork is recorded and handled appropriately. You’ll be trained in data entry through our record keeping system, Salesforce. Interested? Follow the steps below to get started! As GallopNYC is 501(c)3 nonprofit organization, founded in 2005, doing uniquely effective therapeutic work with people with disabilities in New York City, we welcome professional pro bono services. Receiving such services facilitates us providing effective and affordable therapeutic services. Interested? Share your interest via email by using the link below.